Summary: It's summer time and females like wearing body jewelry to show off their beauty. 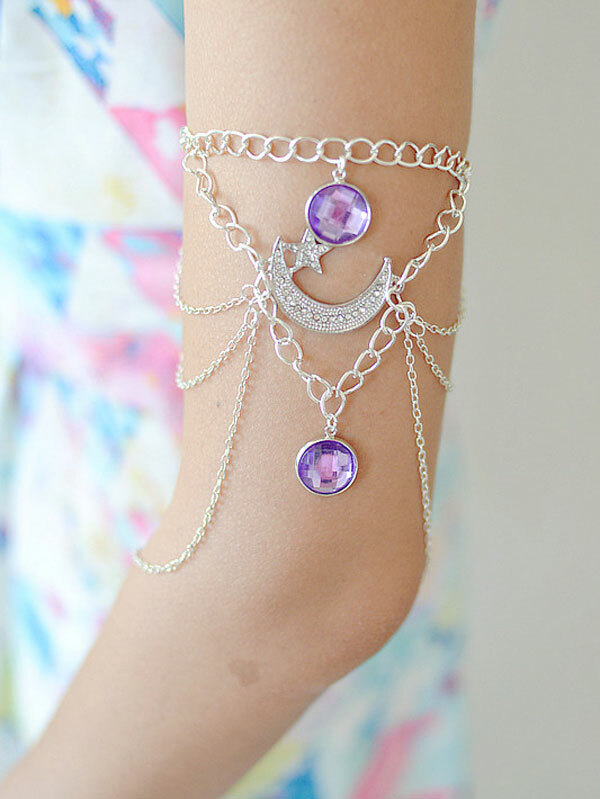 Today's DIY project will inspire you with upper arm cuff making ideas. 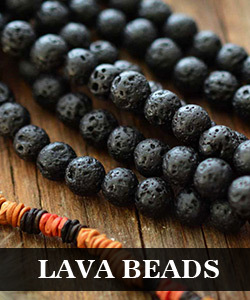 I'm always fascinated by stylish Tibetan style jewelry and I love their uniqueness and specificity. 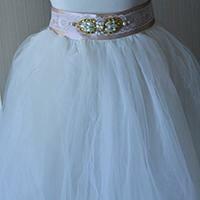 Today I designed a stylish tibetan style silver upper arm cuff to match my pretty dress! 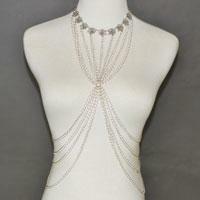 Well, the string for jewelry making is necessary. Follow me to check the details if you want to learn. 4th, connect the ends of the chain with an iron lobster clasp. 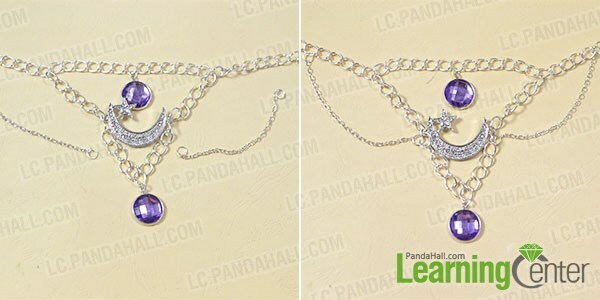 4th, glue another purple rhinestone cabochon to the tray, and hook the rhinestone dangle to the middle part of the chain as shown. 4th, hook the ends of the chain to the original cuff bracelet design as pictured. Tada! A stylish tebetan silver upper arm cuff is finished! I love it! How about you? I guess you also love this Tibetan style upper arm cuff as I do, right? 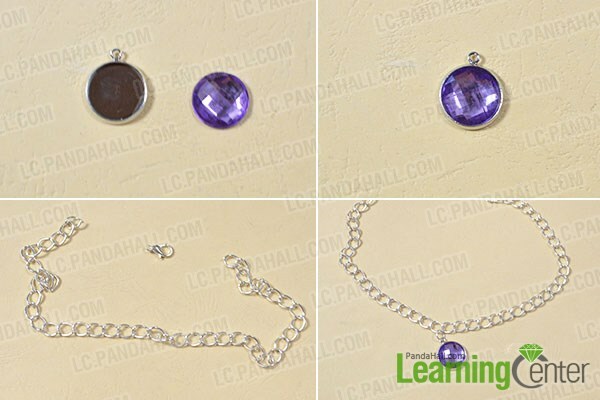 The main jewelry craft supplies in this diy project are chains and link findings with Tibetan element. 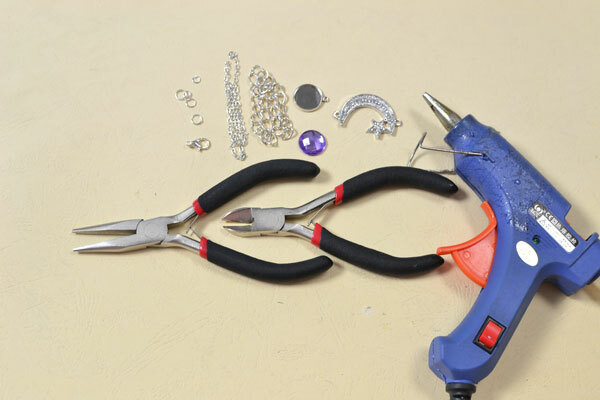 I really hope you could make your own body jewelry with my diy craft inspirations. Have a nice try!